Recommended by DVG Construction, who undertook this client’s extremely stylish extension, The Billington Partnership advised on the fireplaces for both the Living Room and Kitchen. Despite being at the end of a long build project, this client could not have been more welcoming and hospitable. This made our work so much more pleasurable. The existing Living Room fireplace had a wooden mantel with very dated tiles. The client wanted to open it up to have a solid fuel fire within a basket. The client had already sourced the basket from a local reclamation yard. Furthermore, the mantel could not be removed. 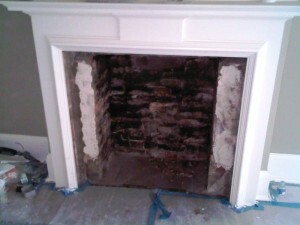 Therefore, we had to template a new hearth and carefully measure the slips to create a new slate opening. We also fitted a new vent and CO alarm leaving the fireplace ready for some great winter fires. 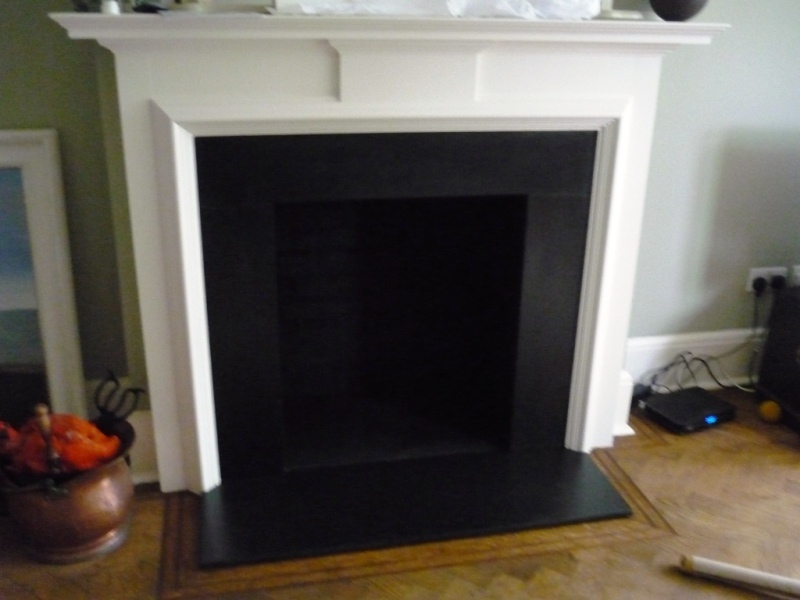 View the first part of this project the Kitchen fireplace installed by The Billington Partnership for the same property.